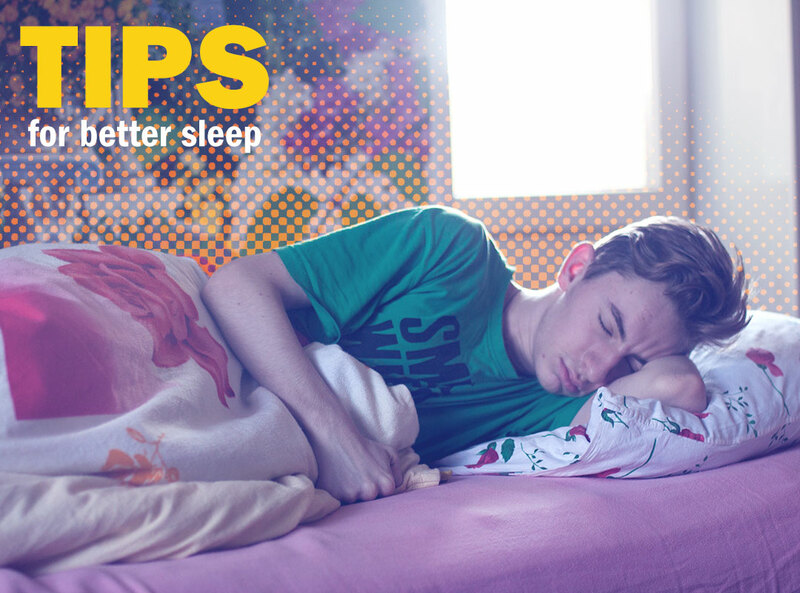 Tips for Getting Better Sleep | Maxine Platzer Lynn Women’s Center, U.Va. Getting enough high quality sleep is the one of the best things you can do for your brain and body. No matter what is going on in terms of mood, energy, memory or emotions, sufficient sleep will almost always help. Sleep also does wonders for new learning. Wresting the last few minutes you can out of a day can be very tempting, but the cost in terms of fatigue and forgetfulness the next day is higher than you think. Fix a bedtime and an awakening time. Your body is set up to be a creature of habit. If you train yourself to fall asleep at a certain time, you can almost certainly count on great sleep most nights. A regular bedtime is key, as is ditching the snooze button. Pick a time, and get up. Otherwise your sleep schedule can begin to “drift,” setting you up for trouble sleeping the next night. Take short naps. A short nap of 20 minutes can help re-charge your focus and learning. Longer naps, however, often interrupt night-time sleep for most people. Limit alcohol and caffeine several hours before bedtime. Alcohol can make you sleepy at first, but interrupts REM sleep as the sedation wears off. Caffeine’s stimulant effect also interferes with the brain’s sleep functions: even if you fall asleep, you won’t get a deep sleep. Choose your after-dinner snacks wisely. Try to avoid late-night snacks. If you snack, foods with tryptophan, like milk, bananas or turkey, are much better than spicy or fatty foods. Exercise regularly, but not right before bed. A work out, particularly in the afternoon, can help deepen sleep. Strenuous exercise within the 2 hours before bedtime, however, can make it harder to fall asleep. (Progressive muscle relaxation, on the other hand, helps a lot!). Reserve the bed for sleep. Let your body "know" that the bed is associated with sleeping by not using it as an office or workroom. Keep it cool. If your bedroom is too cold or too hot, it can keep you awake. Make your sleep environment as dark as you can tolerate without feeling scared (because light triggers the hormones that promote wakefulness). Turn off your cell phone, or if you must leave it on, turn off the audio warnings for texts or email alerts. If your phone is always on, you are training your brain to be hyper-vigilant, which is not conducive to sleep. Wind down. A warm bath, a few minutes of reading, or mindfulness meditation can signal to the brain that it is time to stop for the day. Screen time, in contrast, usually makes sleep more difficult. Use muscle relaxation techniques. Yoga or stretching, deep breathing, and gentle tensing and relaxing muscle groups in your legs, back and arms may help relieve muscle tension. Don't take your worries to bed. Deliberately give yourself time to think about problems earlier in the day, so you aren’t doing that mental work once you are lying in bed trying to fall sleep. Get into your favorite sleeping position. Put yourself to bed; try not to fall asleep on the couch (unless it is your regular “bed”). Most people wake up one or two times a night for various reasons. If you find that you get up in the middle of night and cannot get back to sleep within 15-20 minutes, get up for a few minutes. Read, use the bathroom, or do some quiet activity, then go back to bed. Do not perform challenging or engaging activity such as office work, housework, or anything on your computer or phone. Do not watch television. Turn off or mute your cell phone before bed. If you’ve tried the steps above, and are still having trouble falling asleep or staying asleep, think about consulting with a professional who deals with sleep issues. Certain health conditions can affect sleep, as can psychological issues. Most sleep aid medications, including over the counter medications, are meant to be used only very short term to help a person regain a healthy sleep pattern after it has been interrupted. Medications should not be used on a regular basis because many are habit-forming, and others stop working if used routinely. This includes regular use of natural sleep aids like melatonin. These habits are simple for the many benefits they provide. In my case, I should reduce caffeine.